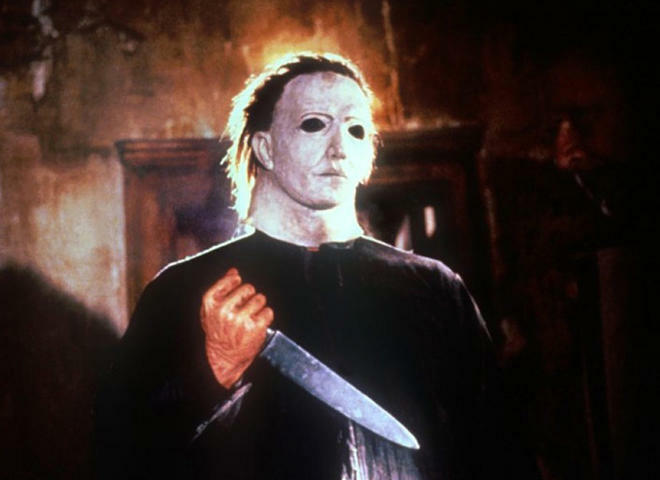 Theater chain AMC understands that "Halloween" fans are excited about the return of the iconic horror franchise, but it's asking them to leave all weapons and Michael Myers masks at home. The slasher film hits theaters on Friday. AMC said other costumes are fair game, but warned fans to stay away from masks and weapons — even fake ones. In a statement, the theater chain said, "In the spirit of 'Halloween,' and costumes, we at AMC love it when our guests dress up for the occasion, but a reminder that weapons, real or fake, and masks are not permitted at AMC. So come to HALLOWEEN at AMC prepared for a scary great time, and leave the mask at home!" The "Halloween" sequel is the 11th film in the series. Jamie Lee Curtis returns as Laurie Strode, who tries again to escape the clutches of masked killer Michael Myers. David Gordon Green directs the latest "Halloween," but original director John Carpenter serves as executive producer. Last year, Carpenter told "CBS Sunday Morning" that he never thought there would be any sequels to Halloween. "No story left," he explained. "There was nothing left to say. Boy, was I wrong!" Though he was mum about any plot reveals, he did admit of the latest sequel, "It's pretending the other sequels didn't happen." He also insisted that this "Halloween" will be the final sequel. "Halloween" arrives in theaters on Friday.